Good Monday Morning! My sweet friend Laurie @ The Momccupation is sharing how she made these cute Monsters Inc. shirts for her 3 boys! Make sure to visit her and check out the super cool party! 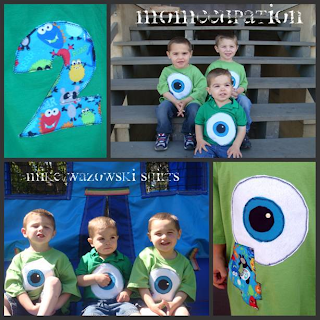 Mike Wazoski From Monster Inc care of Disney and I put together a big bash for my 3 sons with the Monsters INC Theme last month. 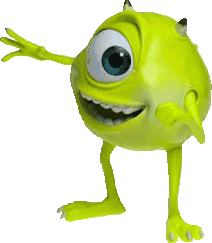 Of course nothing is out for Monster's Inc until next year when the movie hits theaters. 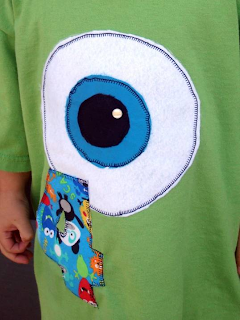 Of course my kids love Monster's INC and they wanted it this year, so I went to work. You can see my other posts for the party and the wreath here! So let's start: What do you need? A green Shirt-Michael's sell them in most sizes and you can catch them on sale or with a coupon. I paid $2.50 each. Make a pattern, I made circles on the computer and then cut them out in fabric. I ironed the wonder under on the fabric and took off the backing and then proceeded to follow the wonder under directions to adhere to the fabric. I went from large white circle to blue to black in the center. Once I ironed on the fabric I stitched with the sewing machine around the shirt to give it more depth, You don't need to but I thought it was cute! 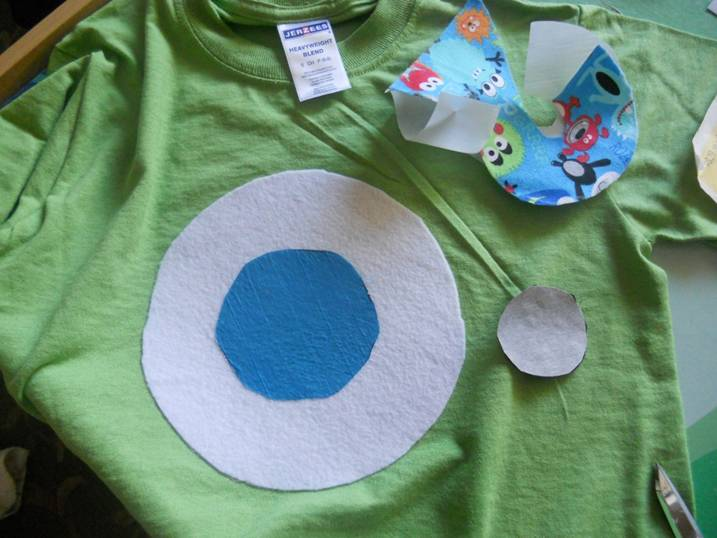 I ironed on the number for their birthday and then stitched around it! So cute and easy!! 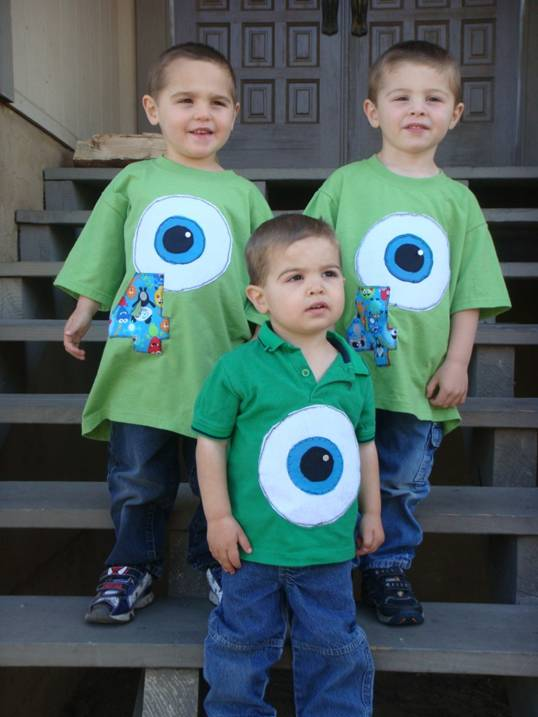 The boys loved it and have been asking to wear their Mike shirts ever since! I added the button and we were done!! Happy Boys in their Birthday Shirts!! Gabe and Reese are 4 and Nico is 2...his number looked better on the back! Thanks so much for reading and check out my blog at The Momccupation for more fun!